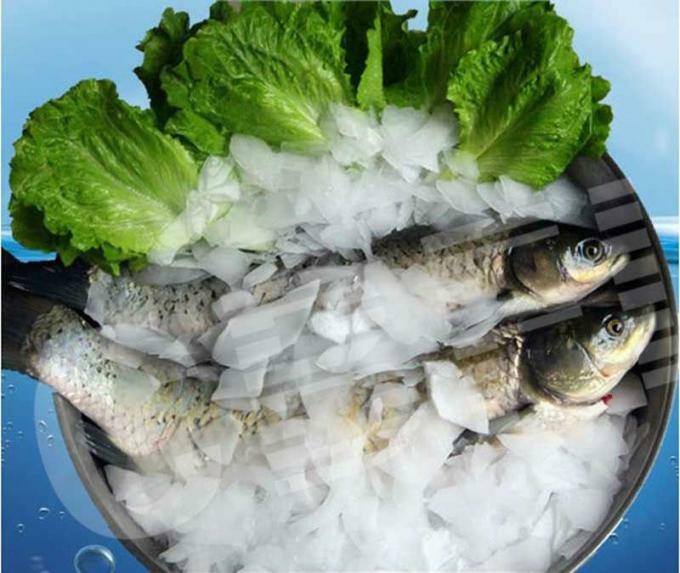 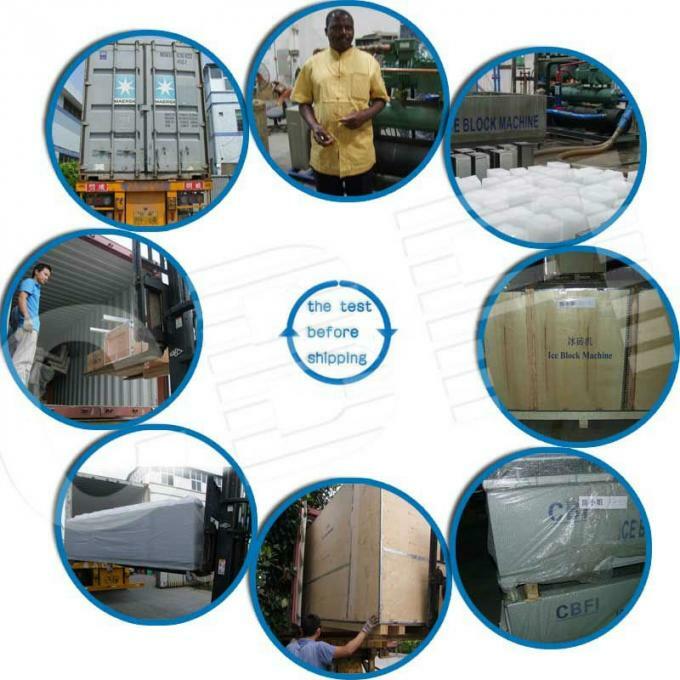 Commercial flake ice machine is widely used in supermarket preservation, seafood restaurant, food processing, fruit and vegetable preservation, make the seafood, fresh meat and meat products more fresh. 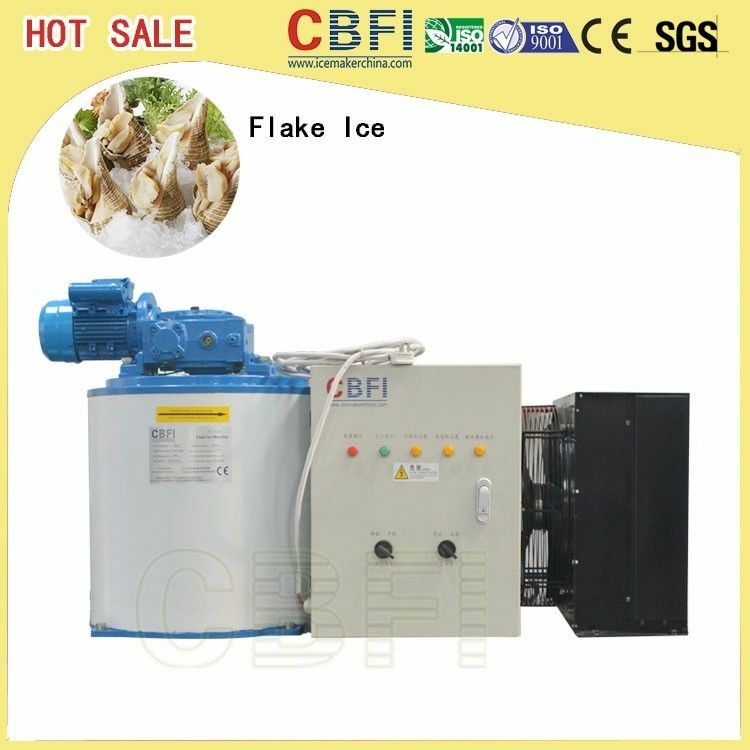 Industrial flake ice plant is widely used in food processing, chemical manufacturing, bio-technology, wine industry, fruit and vegetable preservation and mine cooling, etc. 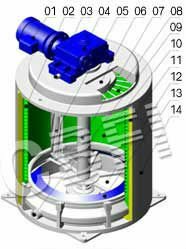 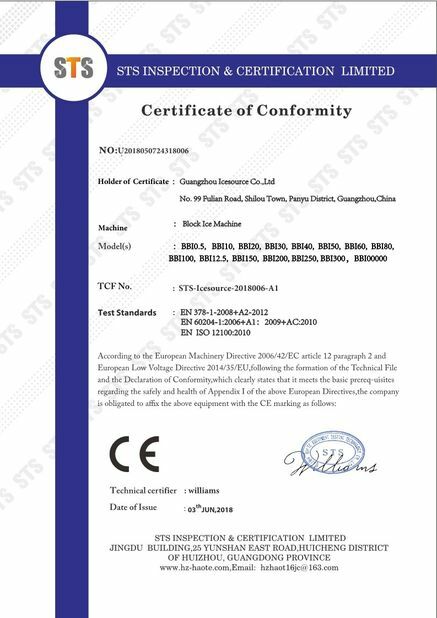 Our evaporators are made up of stainless steel 304. 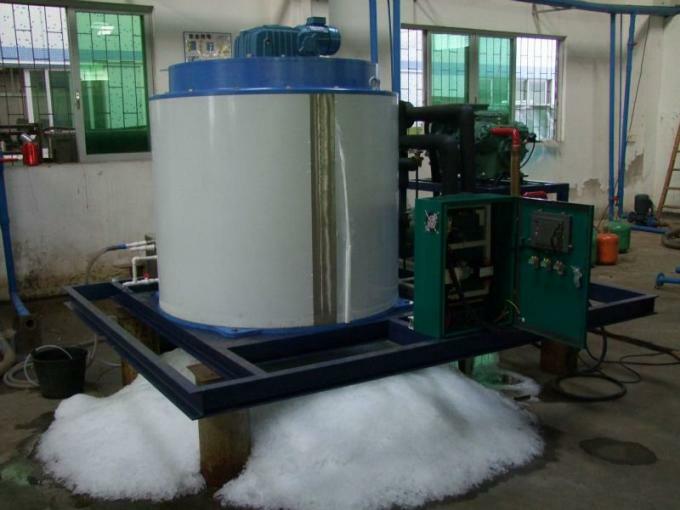 Its evaporating area is greatly expanded and the ice is more beautiful and dryer by its inner spiral chute design. So it never distorts even long time working in low temperature and low pressure, which greatly increase the working life of the flake ice machine system. 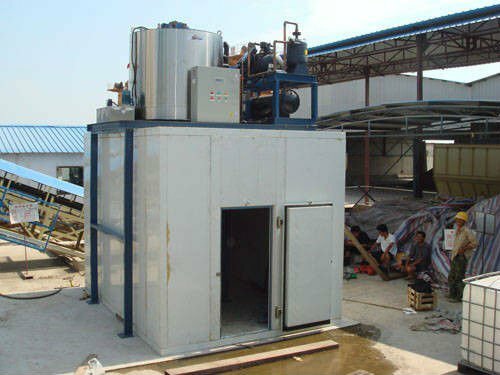 The evaporator workers by way of insides scratching and remains unmoved while the knives scratch ice inside wall, the supply of refrigerant keeps constant and unleaked for improved stability of operation. 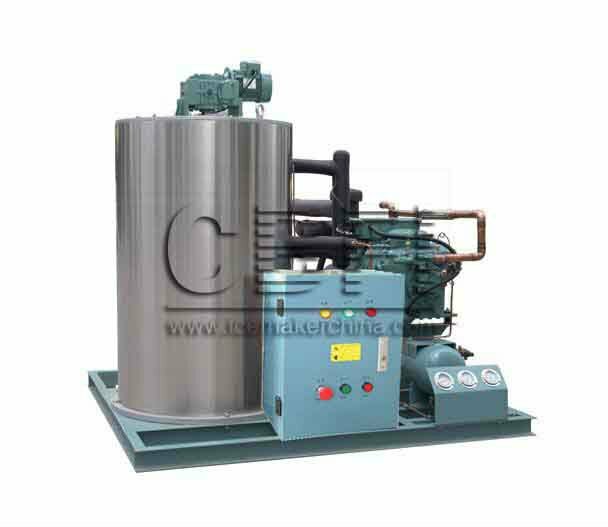 This machine is made of low temperature quality alloy with reasonable piping design for efficient heating transfer, which can not only improve effectiveness of cold-produce and decrease the running cost, but also can reduce the space requirement and weight and so the disposable investment. 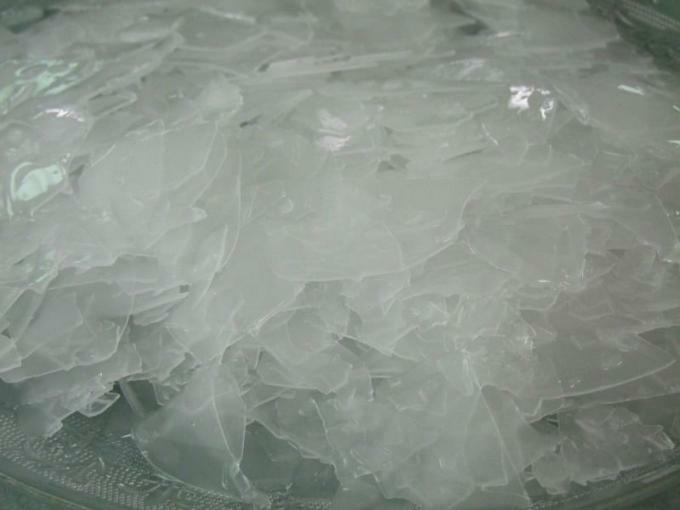 The ice knife works by way of spiral and rolling. 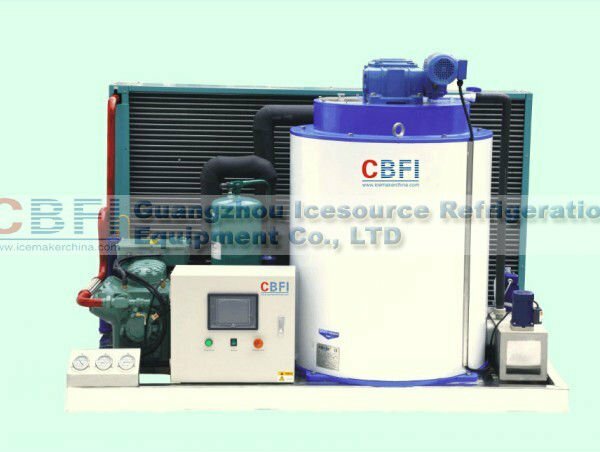 Compared with fixed ice knife, it has advantages of smaller resistance, lower power consumption, no noise emission and powerless ice.